The key's favourite places are keyholes. The 2nd place is the Key Box. To keep things organized, it shows its teeth. 25 teeth to be exact. Enough to find a place for every key of the master of many keys. A safe place, since every tooth is bent upwards by 10 degrees. For all of those who find this far too organized there is the felt place on the surface, where one might lay everything as desired. 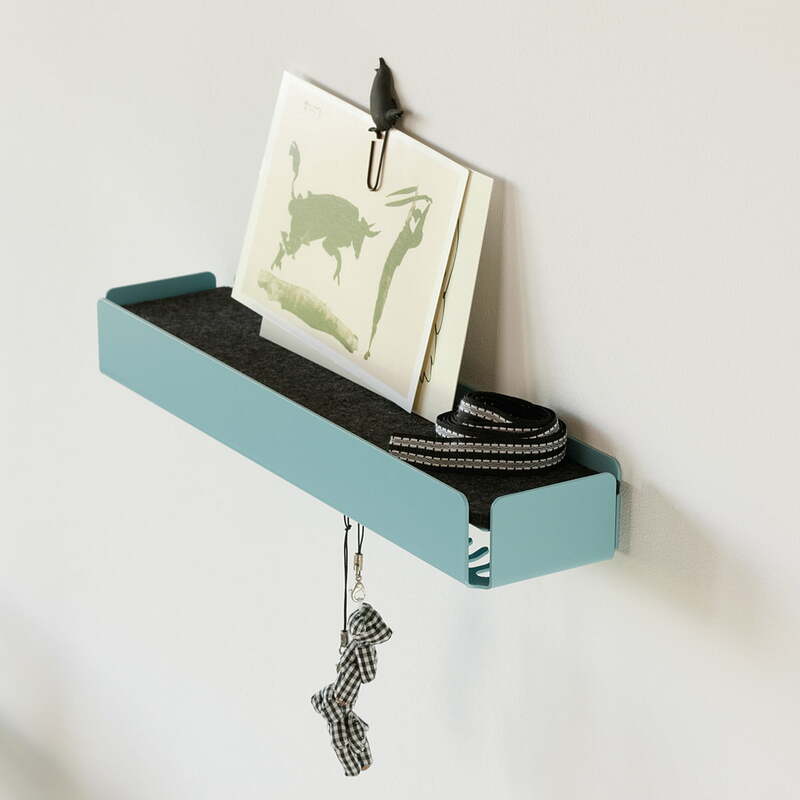 The felt coating of the Key Box by Konstantin Slawinski is available in different colours, upon request. 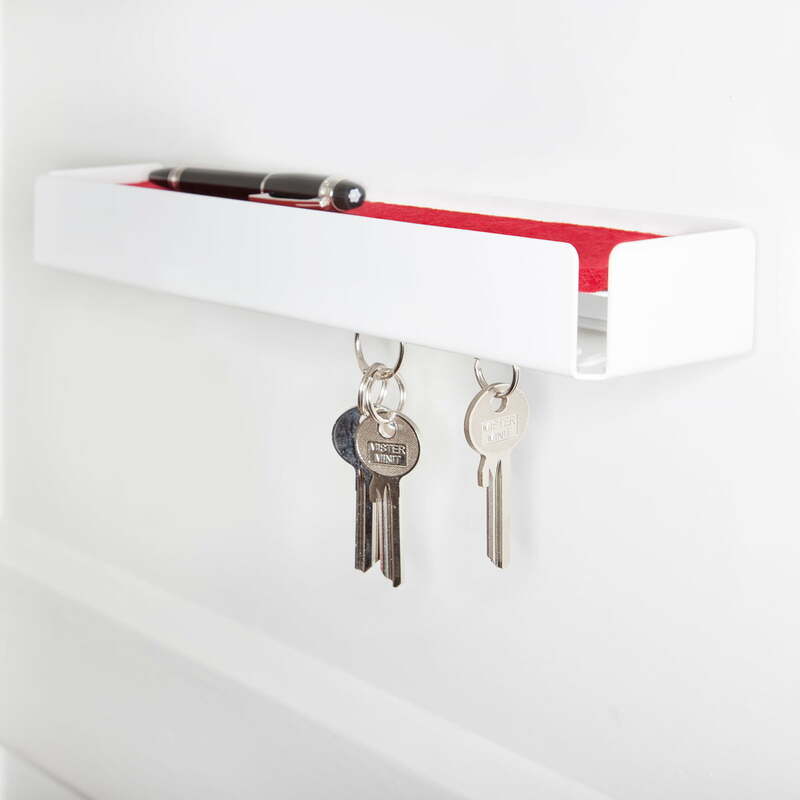 Individual product image of the SL35 Key Box in beige red / grey by Konstantin Slawinski. 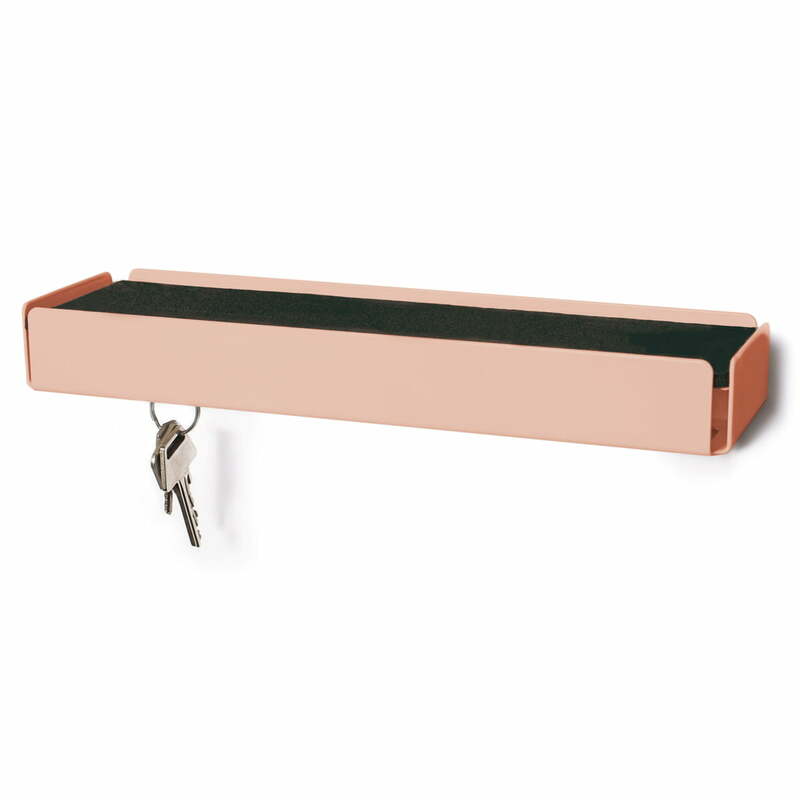 The Key Box consists of powder-coated steel sheet and felt. 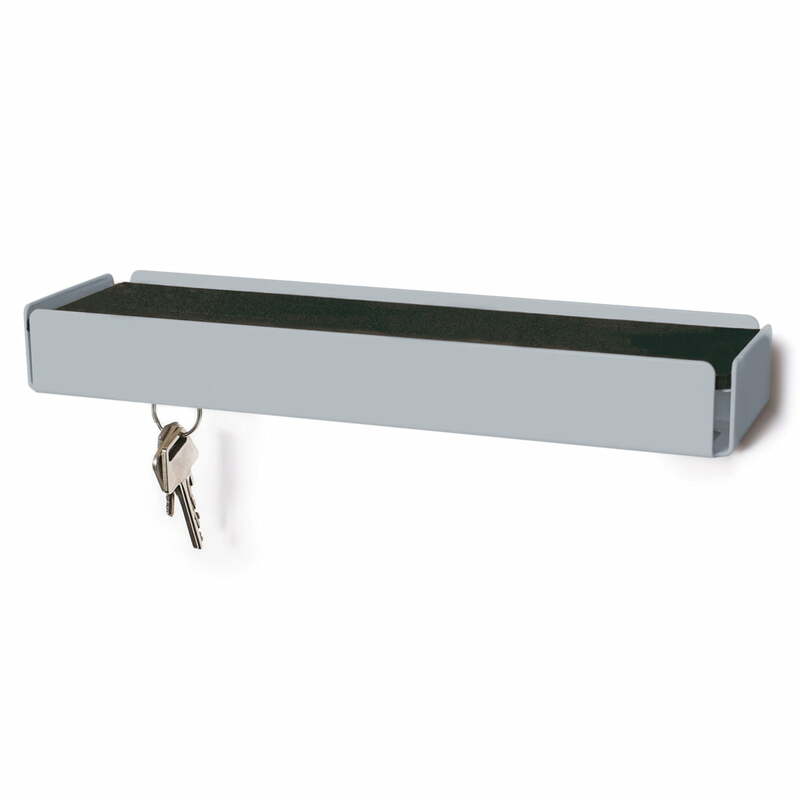 Individual product image of the SL35 Key Box in squirrel grey / black by Konstantin Slawinski. 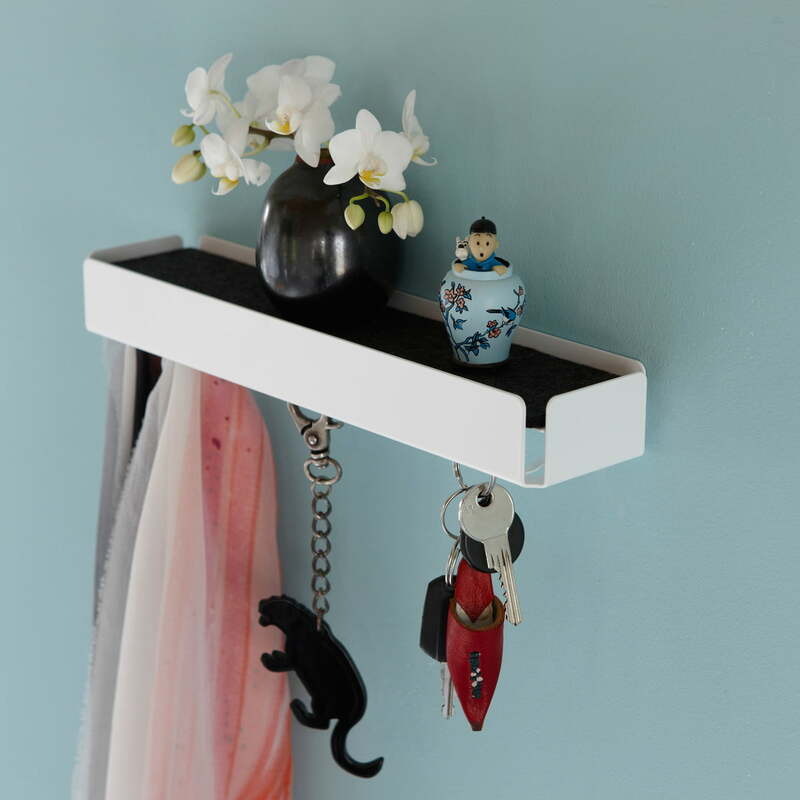 The keys can be hung on the teeth: all other accessories have room on the felt surface at the top. 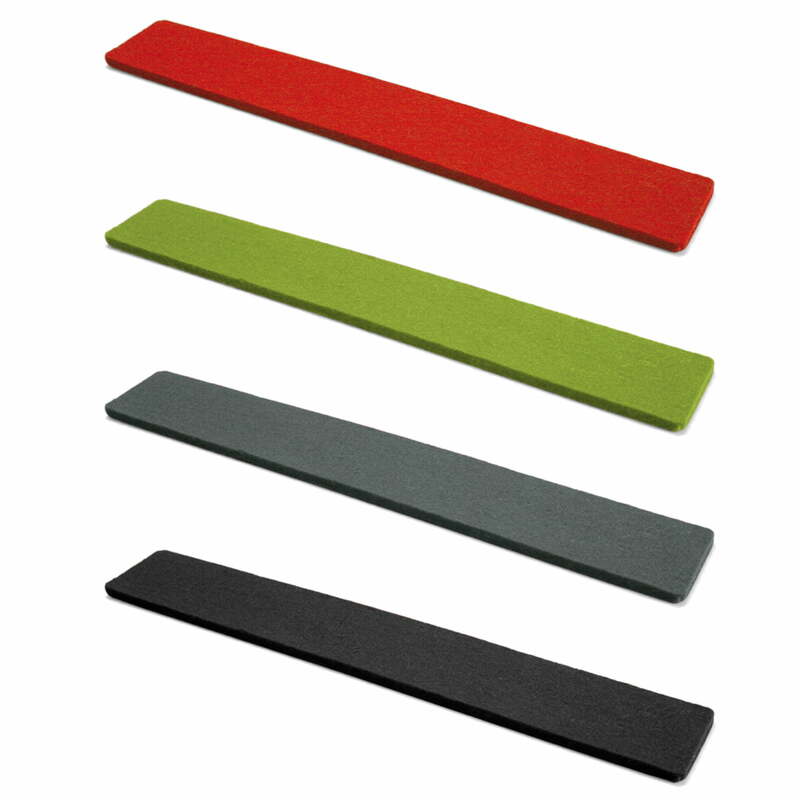 Individual product image of the felt plates for the Key Box by Konstantin Slawinski. The felt inlays in the Key Box by Konstantin Slawinski can be swapped. 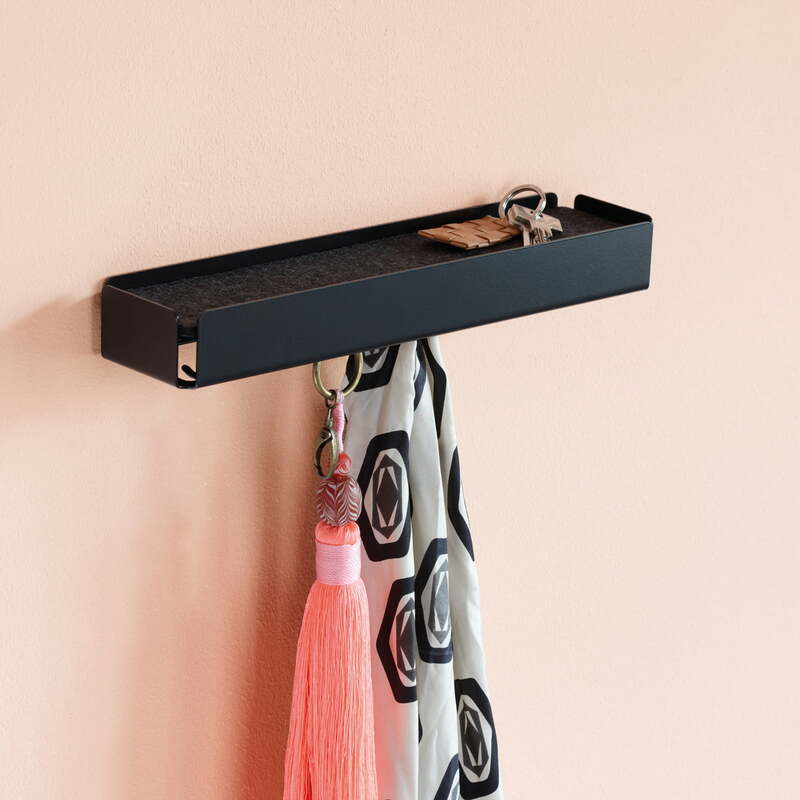 The Konstantin Slawinski SL35 Key Box has space to hang a total of 25 different keys on its hooks, the hooks are bent upwards by 10 degrees. If that is too much organisation for you, you can easily store them on the felt tray.